We’ve had some new additions to the farm during the last several weeks. 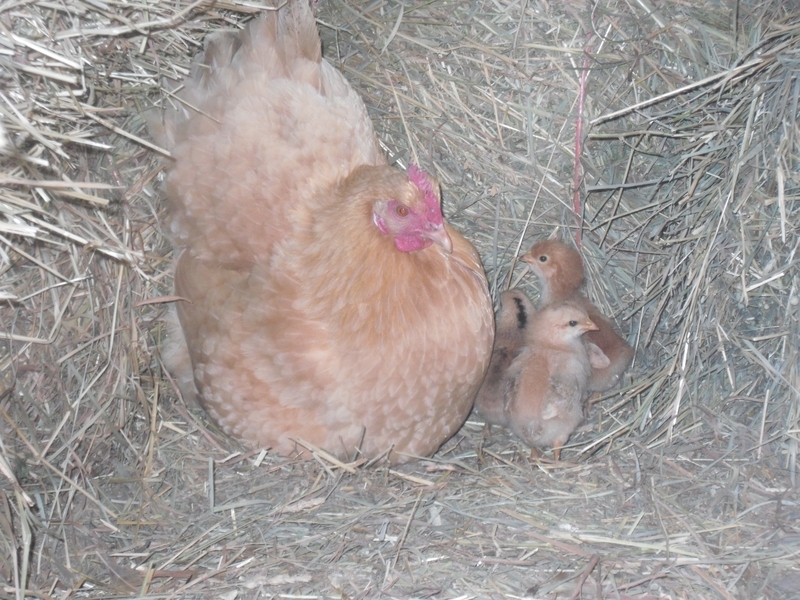 The first were three chicks hatched by one of our own hens. She had found a nice quiet spot in the corner of the barn. This is reminiscent of our first chickens on the farm when we brought out a hen and her three chicks from Farmer Bud and Farmer Melinda’s farm in Randolph County. We also have been getting lots of broiler chicks. A batch of 100 was delivered three weeks ago and another batch of 100 was delivered this week. 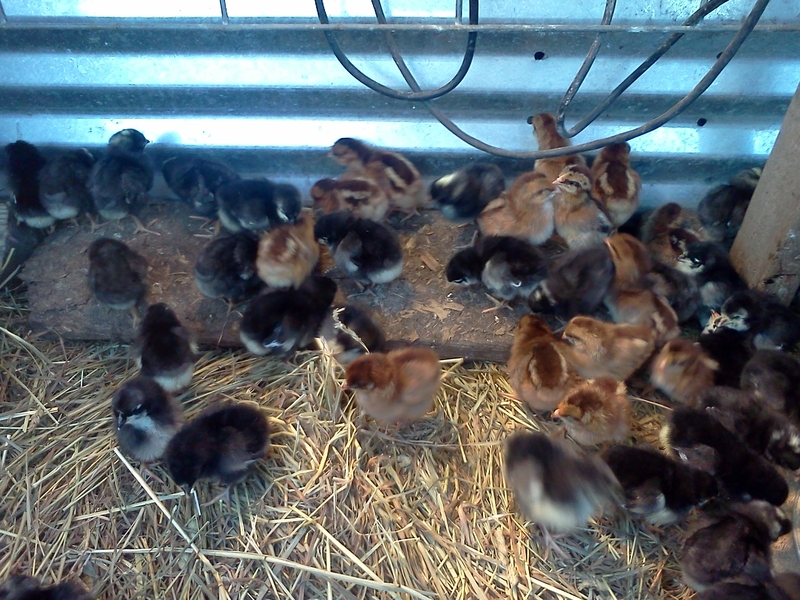 We will have lots of chicken for sale later this fall and into next spring. 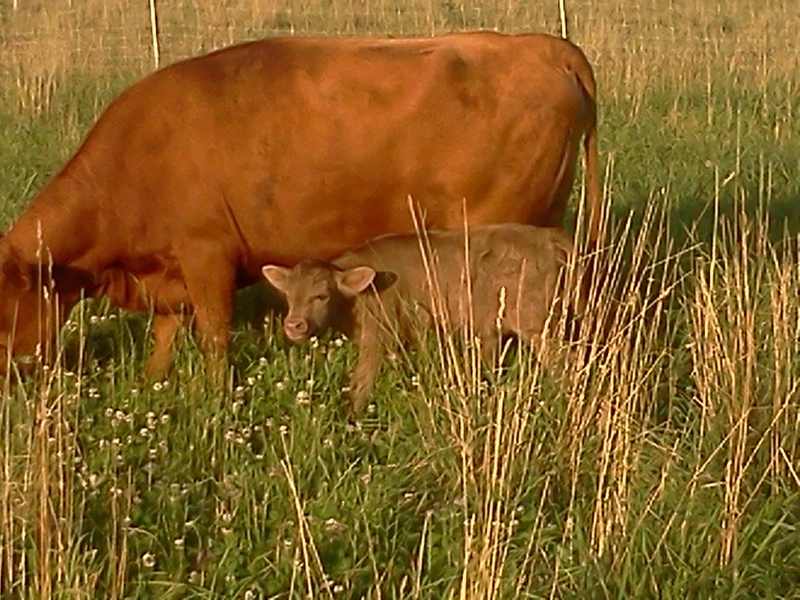 Finally, we had another new calf born on the farm this week. Daisy blessed us with another male, Sir Loin. With our beef now, T-Bone coming up next year, and Sir Loin the year after, we should be able to continue providing grass-fed beef for some time. We will be at two markets this week. We sold most of our lamb last week but still have two pounds of ground lamb. Come early on Friday if you want it. We will also have a limited number of whole chickens and eggs but we will have plenty of grass-fed beef. Betsy’s Kitchen on Full Circle Farm will again be offering grain free treats including Spicy Chocolate, Carrot Cake, and Zucchini Banana.